Since 1982, Wood-Mizer has brought personal and portable sawmills to people all over the world who want the freedom of sawing their own lumber for projects or profits. 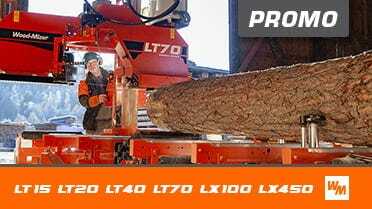 Engineered for performance and quality, Wood-Mizer offers a complete line of sawmills for woodworking hobbyists to full-time sawmill operators. Stationary or portable, manual or hydraulic, standard or wide, monorail or twin rail, it’s your choice and it’s all available from Wood-Mizer.